1. Preheat the oven to 350 degrees F. Line an 8x8 inch baking pan with parchment paper and set aside. 2. Place the first 4 ingredients in a mixing bowl and whisk together until completely smooth. 3. 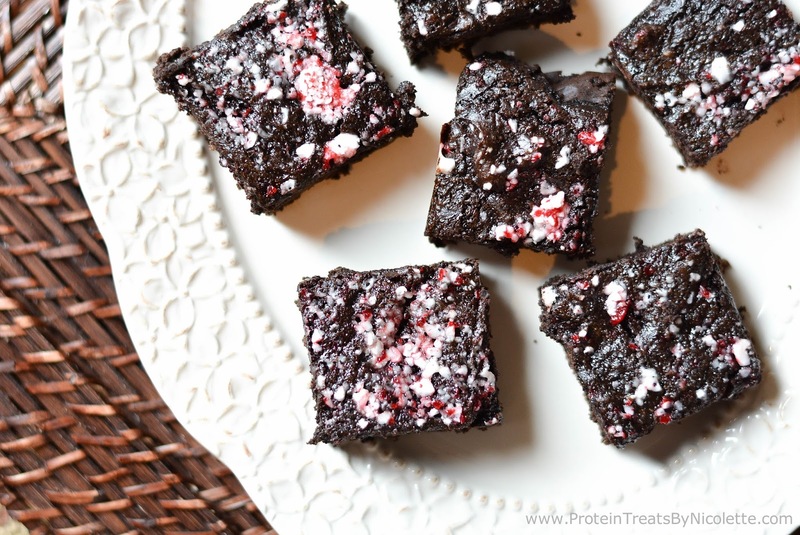 Place the remainder of ingredients, except for crushed peppermint, in the mixing bowl and stir together until batter is well combined and smooth. 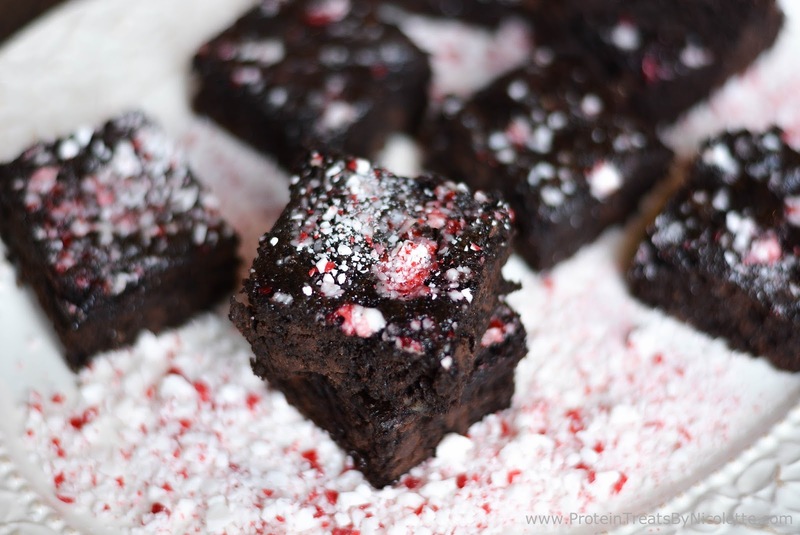 4.Spoon brownie batter into baking pan and smooth down, ensuring batter covers the bottom of pan. 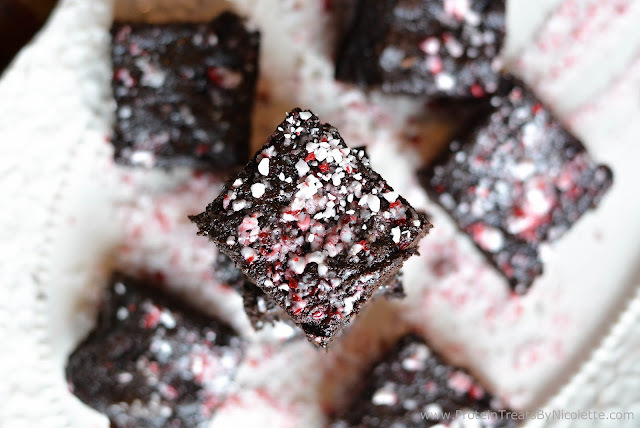 Sprinkle the crushed peppermint on top. 5. Bake in the oven for 24-28 minutes, or until center is cooked thoroughly. Remove from oven and let cool for 45 minutes. 6. 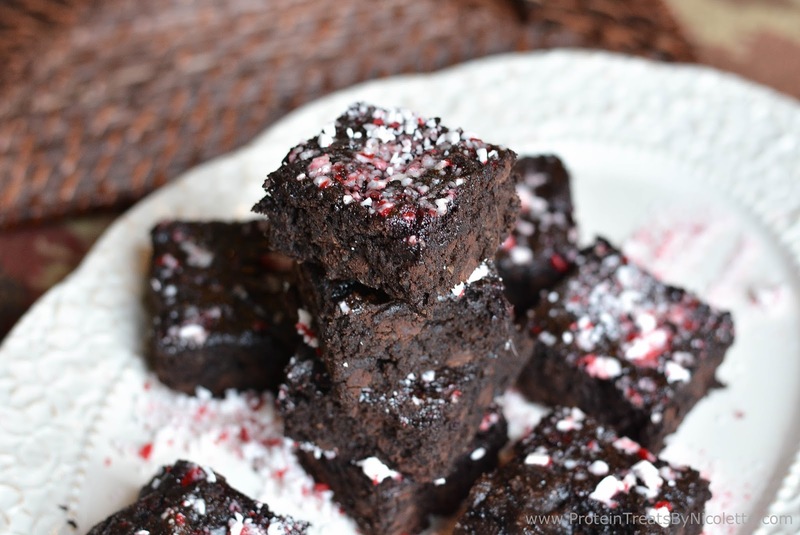 Slice into 16 squares and serve immediately. Enjoy! 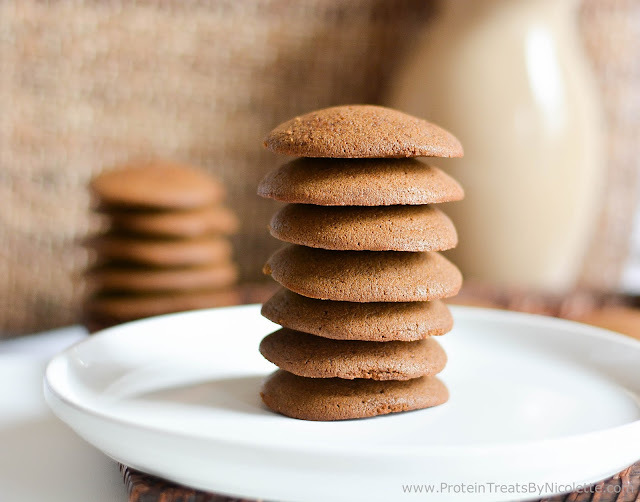 These look superb--definitely need to get more protein powder to make these!